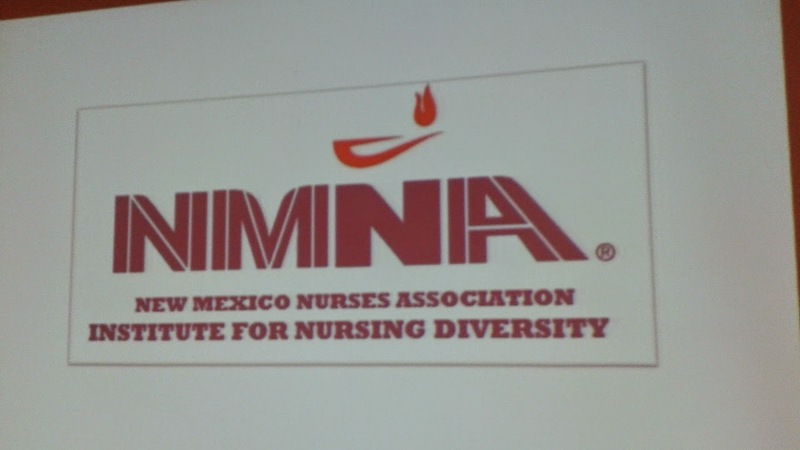 The New Mexico Nurses Association Institute for Nursing Diversity sponsored the conference, which was entitled, "Our Shared Voice: A Vision of Nursing Advocacy in Multicultural Communities". 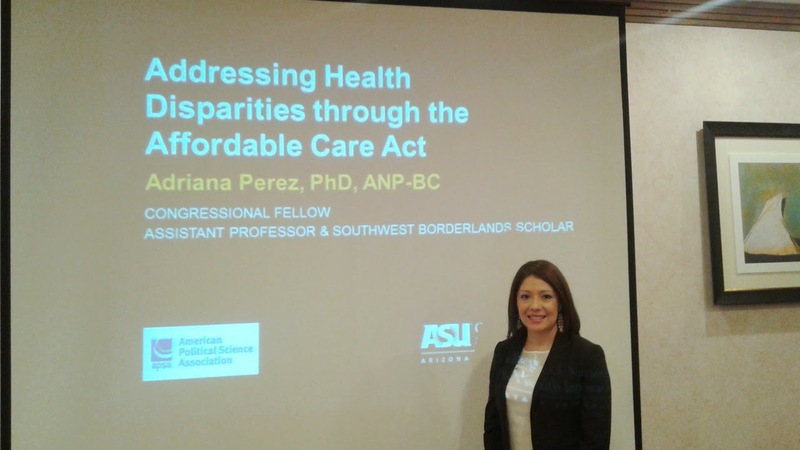 Dr. Adriana Perez, PhD, ANP-BC is the President of the Phoenix Chapter of the National Association of Hispanic Nurses (NAHN), Assistant Professor and Southwest Borderlands Scholar at Arizona State University, and Co-Director of the Hartford Center of Gerontological Nursing Excellence. 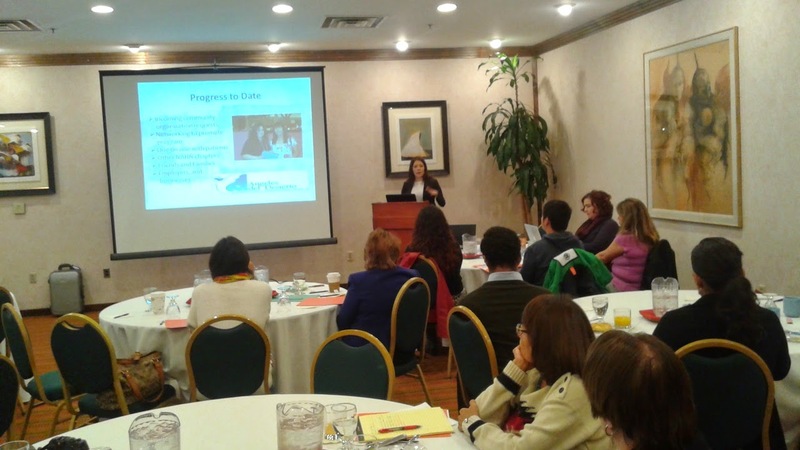 In the course of the morning's presentations, Dr. Perez educated the attendees on issues of great relevance vis-a-vis the Affordable Care Act (ACA), including how the NAHN is educating vulnerable populations regarding how they can become insured through the ACA. Dr. Perez also shared that the burgeoning U.S. Hispanic population is ripe for aggressive outreach in order to facilitate increased insurance coverage for that powerful demographic group. 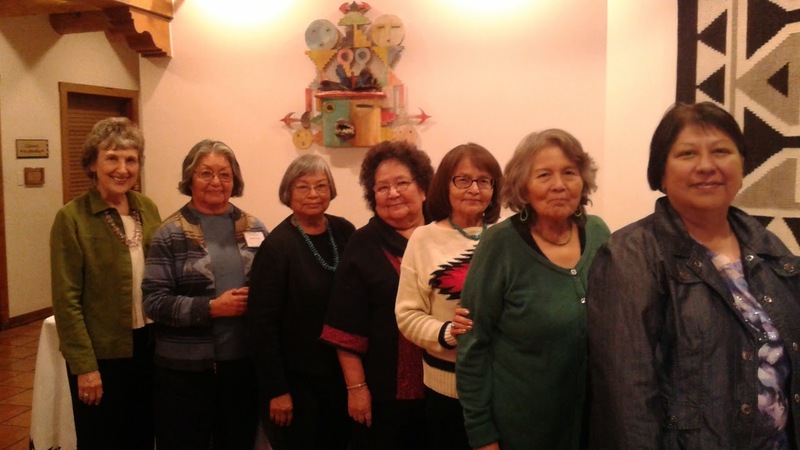 Members of the New Mexico Native American Indian Nurses Association were also present for the conference. In the course of our conversations, we learned that the Native American population is significantly confused by the ACA, especially in light of the services already provided by the Indian Health Service (IHS), and the mixed messages given to the Native American community by the IHS. 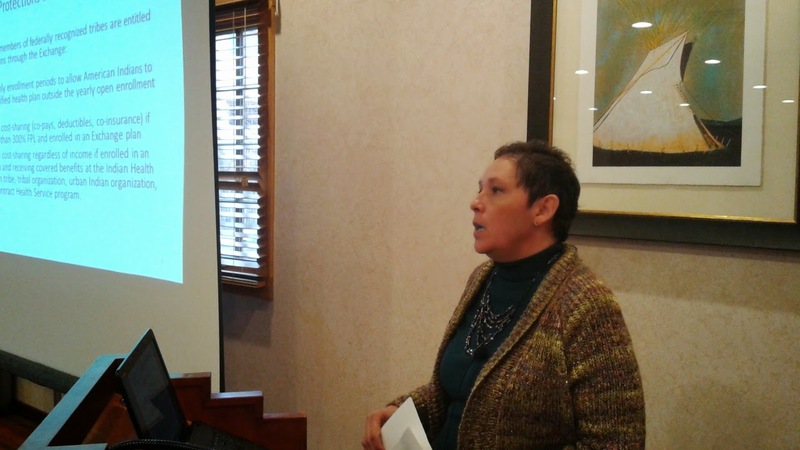 Teresa Gomez, the President and CEO of Futures For Children educated us more deeply on Native Americans and their relationship with the ACA. 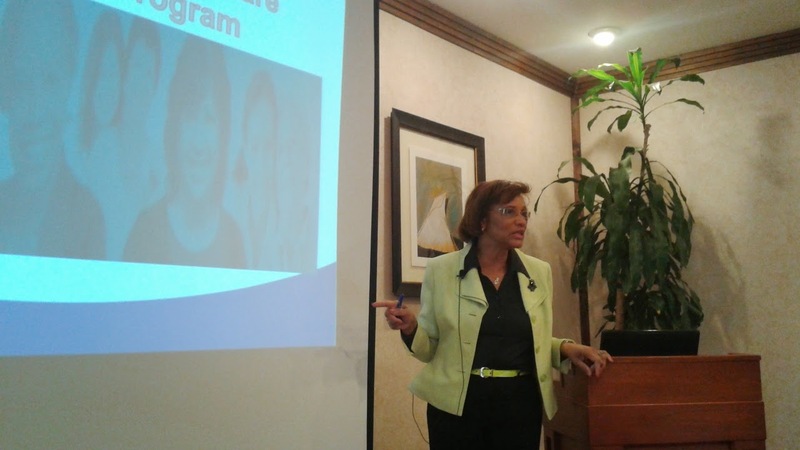 Meanwhile, Pamelya Paulette Herndon, BBA, CPA, JD, the Executive Director of the Southwest Women's Law Center spoke animatedly and informatively about the effects of Medicaid Expansion specifically in New Mexico. 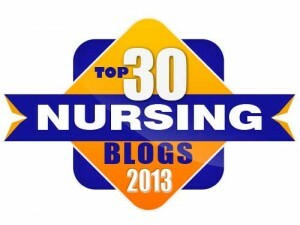 Becoming educated on the details and impact of the Affordable Care Act is crucial for nurses. Whether we work in clinics, physician offices, hospitals, outpatient surgery centers, or home care, our patients have strong potential for confusion over the ACA. Our ability to guide or advise our patients on accessing healthcare is extremely important. When discussing diversity and multiculturalism, we often focus on ethnic and cultural diversity, which is laudable and important. Issues raised in the course of the conference included gender diversity and gender identification, sexual orientation, as well as socioeconomic status, including immigrants (both legal and undocumented) and seasonal workers. Dr. Perez returned to the podium to instruct us in skills for speaking to the media and communicating a strong, coherent message, whether we're discussing the ACA, cardiovascular health, or any other issue for which we feel personal or professional passion. 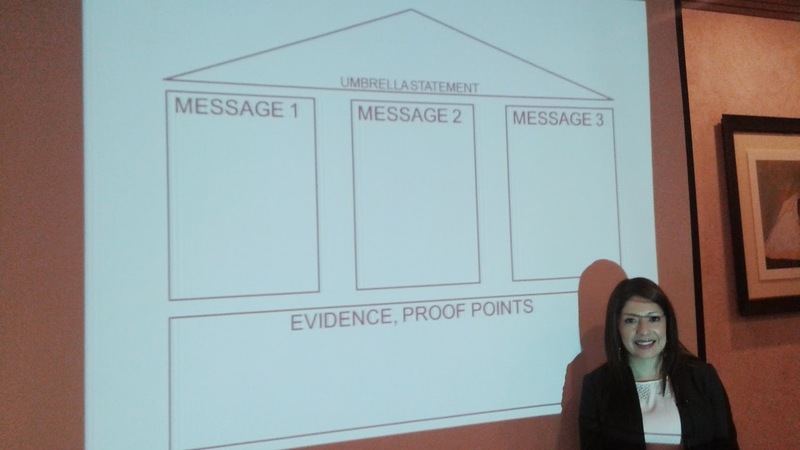 When speaking with the media (or even with the public or legislators), it's important to have an "umbrella statement" that serves as your overarching message, three main messages that you want to get across, and evidence and proof points that are the foundation of your message. In terms of the ACA, not knowing every detail is not an issue, especially if one of your three main messages is where your audience can go for more information. It is indeed our shared voice that is the collective power for us to harness, whether we're talking about building diversity, speaking out regarding Ebola, or educating the public about the ACA. My thanks to the New Mexico Nurses Association for sponsoring an informative, diverse, and enjoyable conference here in beautiful Santa Fe, New Mexico.